Salon’s Brian Beutler is out with an article this morning advising House Speaker John Boehner to give up waging repeated fights over the government budget and debt ceiling and instead agree to fund both for a lengthy period of a time. These fights do nothing, but divide the Republican party and hurt its imagine nationally. So, Beutler’s logical advice to the Speaker is to no longer pass stopgap fixes and get them off his plate until at least the midterm elections. This makes a lot of sense on political grounds for the Republican party. The GOP wouldn’t have to revisit every few months whether they’re going to bankrupt the government or allow it to default, both political losers for the party. As for the country, these nasty fights unnecessarily hold back the economy and crowd out other important Congressional legislation such as immigration and tax reform. The problem with Beutler’s strategy is that it would probably cost Boehner his speakership. Beutler says that if Boehner is worried about this, he could make a deal with House Minority Leader Nancy Pelosi that Democrats will support him if he’s challenged by his conservative base. 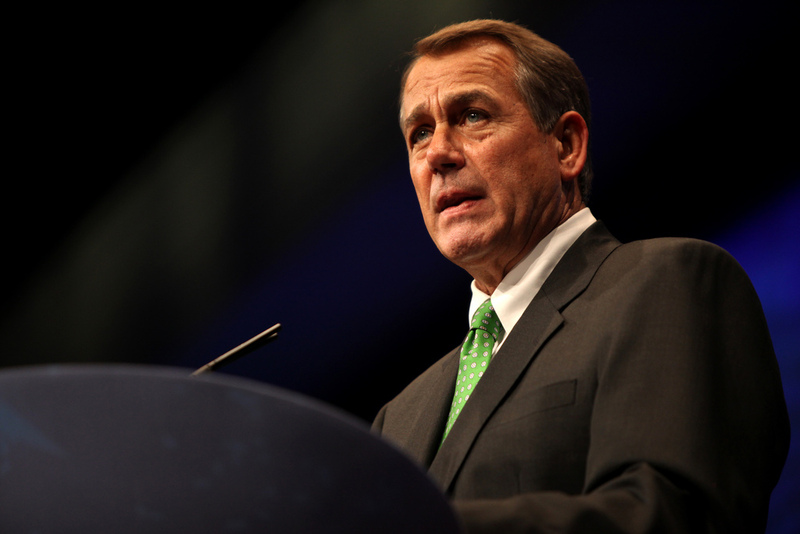 Speaker Boehner has no good options. But this doesn’t actually accomplish much for the Speaker. He keeps his title while losing all of his power. If the Speaker faces a rebellion from within his ranks and turns to Pelosi for help, it effectively makes her de-facto Speaker. As we’ve seen repeatedly, Tea Party Republicans aren’t going to sit idly by while the Speaker betrays their most deeply held interests: cutting government spending and defunding Obamacare. In reality, the House doesn’t have a chance of accomplishing either of those, but House Republicans don’t live in reality. They will see Boehner’s betrayal not as a practical solution to improve the image of the party, but as a validation of their not-to-secret belief that the Speaker is a RINO. And they won’t accept that. Whoever rises up to challenge Boehner for his speakership – whether it be the Majority Leader, Eric Cantor, or someone well outside Republican leadership such as Justin Amash – will have the support from Tea Party groups around the country and many members of the Republican caucus. If Democrats come to Boehner’s aid and save his speakership, the Tea Party will not simply give up the fight. The Tea Party doesn’t give up fights, even ones they’ve lost repeatedly (see, Obamacare). They will continue to fight against everything Boehner does, if just to send a message to future speakers that the Tea Party is not to be messed with. If Boehner hopes to accomplish anything else in this Congress, it will require large Democratic support and it will be up to Pelosi to provide that support. Anything Boehner wants to pass, he’ll have to run by the Minority Leader to see if she can whip the votes for it. That gives Pelosi all the power. That’s great for Democrats, but horrible for Republicans and even worse for Boehner. He’ll have no power in Congress and a Republican base that will never forgive him. That’s not a strategy the Speaker should pursue. Great site. Plenty of useful information here. I am sending it to some buddies ans also sharing in delicious.